Ryan Loflin bet the farm in 2013 and did what no U.S. producer had done for 70 years. The Springfield, Colo., grower ordered hemp seed by mail from Europe and stockpiled his supply bit by precious bit. 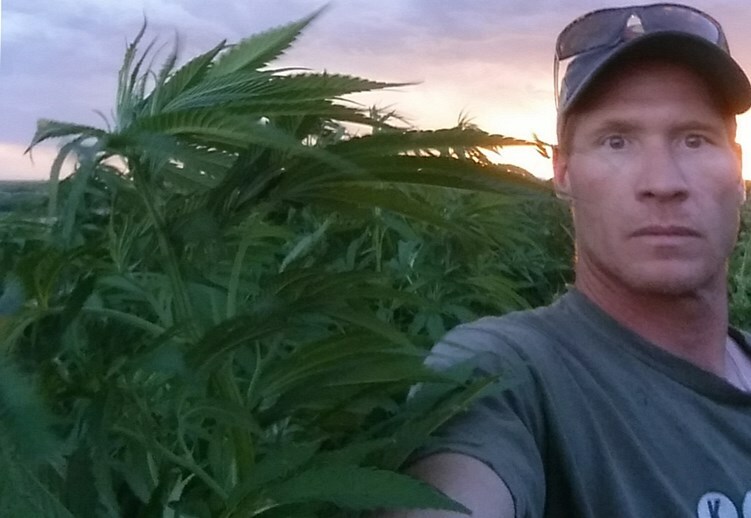 When the cache climbed to 1,500 lbs., Loflin, 43, stepped into agriculture's terra incognita and dotted 60 acres of flat ground in extreme southeastern Colorado with hemp seed. And then he waited for Uncle Sam to come knocking. No cease and desist letter. No phone call from the feds. No DEA raid. Loflin shattered a fiber ceiling to become the first U.S. farmer since the 1940s to plant and harvest industrial hemp. Particularly in an agricultural economy with anemic commodity prices, hemp is beckoning to U.S. farmers. Federal prohibition remains in place, but states are moving forward with legalization. Despite a storied crop history lasting until 1937 (Hemp briefly returned to U.S. fields during World War ll), industrial hemp production was banned partly due to marijuana association. Both are part of the Cannabis sativa family, yet hemp is marijuana's non-intoxicating cousin — distinct in chemical and genetic makeup. Hemp and hypocrisy are tight bedfellows of U.S. policy: Process, buy, manufacture, or even eat hemp products, but don't dare to grow. As hemp industries in more than 30 countries benefit from the U.S. agriculture market, American farmers have watched from the sidelines as foreign product boosted the U.S.'s position as the world's top consumer market for hemp goods. The hemp void is filled by farmers from Canada, China and Europe. As a child of the 1980s, Loflin was left with a bitter farming taste from a dire decade of agricultural economics. He left farming for construction, but began researching hemp after reading about big returns gained by producers in Canada. "We made $40 per acre off wheat, but I saw Canadian farmers pulling in $300 per acre from hemp, and it blew me away," he explains. "I studied it and learned all I could." Loflin leased the family farm from his father prior to 2013, pulled back in by the potential of hemp and the promises of diversification. "The family farm is where the blood meets the soil. Americans don't realize the sacrifices and commitment farmers make to put food on their tables. Industrial hemp farming allows the family farmer to reap more benefits from an extremely dangerous and very different occupation," he describes. There was no crying in the wilderness for Loflin. He seized the mantle as a hemp apostle and went straight to the halls of legislation at both the state and federal levels as a hemp farming advocate. Colorado legalized recreational marijuana use with passage of Amendment 64 in 2013, and although cultivation of industrial hemp was included in the last line of the bill, regulatory rules were absent. In essence, hemp farming was almost legal in Colorado, but still illegal at a federal level. Regardless, the door was opened wide enough for Loflin. From his initial 60 acres, he kept the seed for stock and sold some of the cannabinoids for medicine. He believes the pharmaceutical market will become a major income generator for hemp production. In 2016, Loflin ramped up to 520 acres: 120 for seed and 400 for medicine. He hopes for 600-1,000 lbs. of seed per acre, contingent on cultivar. "Farmers are very curious and want to know the returns from hemp. There's good money in seed and you can pull $300 per acre right now at a minimum, but the potential is there for $1,800 per acre and even higher," Loflin says. From the hemp base to the tip of the leaves, all of the plant has harvest purposes due to its fibrous nature. The seeds can be eaten or pressed for oil extraction. The stalk fiber is used in a multitude of ways: paper, textiles, clothing, construction, health products and much more. Even the root can be processed and ground up as a lotion ingredient. In addition to meeting market demands, hemp is an excellent phytoremediation crop — cleaning soils that have been polluted. "Hemp makes a great rotational crop and may be a great fit between corn and wheat," he adds. "It also grows tremendously well behind alfalfa from all the nitrogen in the soil." Twenty-nine states have passed legislation allowing hemp cultivation for research or pilot programs. However, political wheels invariably turn slowly, and hemp lacks a federal green light. 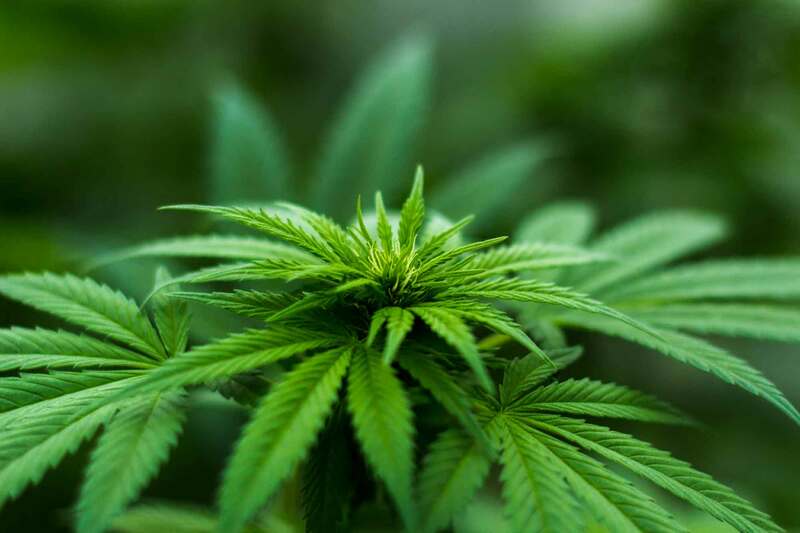 Eric Steenstra, executive director of the Hemp Industries Association, believes once hemp receives the full legal nod, it will emerge as a niche crop and mature into a major earner for producers. "The hemp seed industry already has momentum. The food and body care markets have grown to several hundred million dollars, entirely based on imports. Manufacturing potential will jump when growers can supply domestic hemp and bypass imports. Add the fiber component and the potential leaps to millions of acres in just 20 years." Producers consistently ask Steenstra why hemp cultivation is still illegal in so many states. "It makes no sense to farmers and I tell them to call or send emails to their senators and reps. Online, they can go to votehemp.com and get involved," he says. Hemp potential covers the entire corn and soybean region. As a summer annual, it fits very well with corn-soy rotations for hemp purposes, or with corn-soy-wheat as another grain crop, says David Williams, a professor of agronomy with the University of Kentucky. Producers choose hemp for one of three purposes: seed, fiber, or medicine. With fiber, hemp should bring a minimum yield of 6,000 lbs. per acre, but Williams shoots for 5 tons per acre. He says 5 tons per acre of hemp fiber yield will definitely compete with corn and soybean profits. "Hemp is a great rotation alternative and a producer won't lose money. For seed and fiber, it's always going to be competitive with other crops." Hemp produces cannabinoid molecules (nicotine from tobacco; cannabinoids from hemp) with strong potential for pharmaceutical or nutraceutical applications. The economics of fiber and seed are relatively firm with established industries in Europe and Canada. On the flip side, the economics of cannabinoids are very poorly understood, Williams says. "Regulation is under evaluation by the federal government. Lots of companies want to market cannabinoids, but that avenue is yet to widen and the potential market is hanging." Farming veterans are taking a long look at hemp in Kentucky, Williams says. When he holds educational meetings on hemp, the venues are typically packed with 50 to 150 farmers, regardless of county. And grower interest is not necessarily from the younger generation. In the 1940s, many farmers with large scale corn farms grew hemp as part of the Hemp for Victory campaign during World War ll, according to Williams. Some older growers still remember their grandfathers growing hemp. "I don't expect hemp to absolutely transform the ag economy. Yet, it definitely has potential as a rotation crop, and the medicinal aspect may bring further opportunity," he says. In addition to hemp, Loflin farms alfalfa, triticale and grain sorghum on dark, sandy loam across 1,000 acres of level land set against the endless vista of Baca County, a 1930s Dust Bowl epicenter where the mountains have turned to plains. He calls hemp an "open-door" crop, with multiple avenues of opportunity. "It's a complete economic and agronomic hand-in-hand crop. I think hemp will take off with processing plants. When farmers have a place to go with their hemp, it's going to make a difference and it will grow almost anywhere. It sounds clichÃ©, but it's the perfect agriculture time for hemp to arrive." In 2013, Loflin planted in the shadow of history, but he's confident the initial 60 hemp acres will spur a long-term harvest well into the future. "The hemp industry is running a marathon, not a sprint," Loflin adds. "Hemp is a solution to many long-term problems we face in farming's future. With time, hemp will be a driving force in agribusiness."